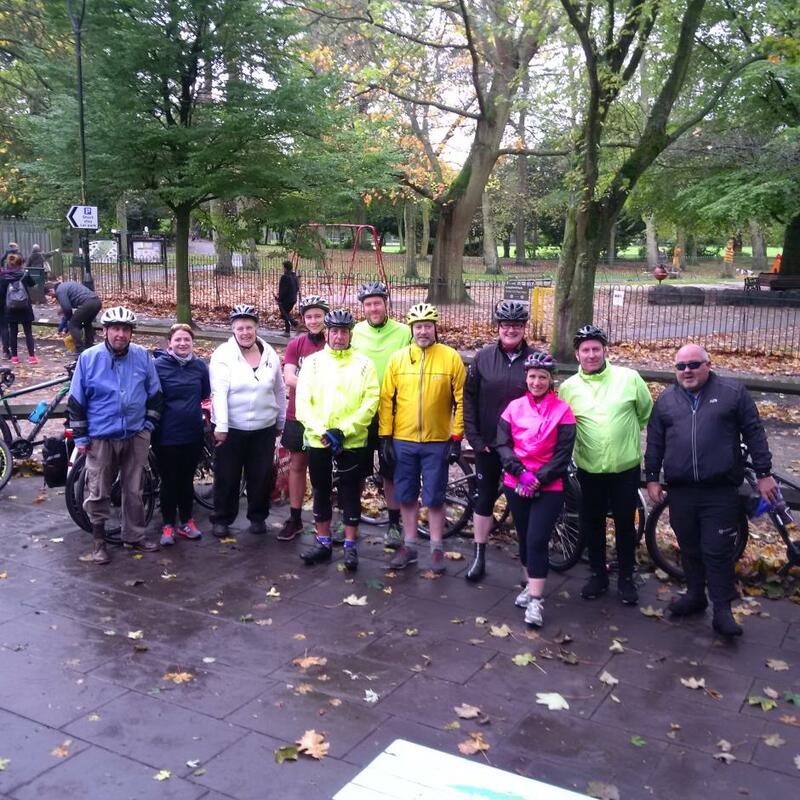 Manchester Clarion Cycling Club is based in Manchester, predominantly in the north of the city, and is a section of the National Clarion Cycling Club. Why Join the Manchester Clarion Cycling Club? We organise rides and events for cyclists of all abilities, especially beginners. Most of our rides start from Butterfield Bicycles in New Moston or from the National Cycling Centre near the centre of the city. Check out our facebook page for the latest ride news. The club has a wealth of experience and always makes sure that our new riders are looked after on their first few rides. We pride ourselves in riding in a disciplined and safe manner and respect our fellow road users. For example we acknowledge cars that wait and pass us safely, we single file when safe and appropriate to do so. We also slow down for horses and dogs and talk to them as we pass, so that we don’t startle them.